Next on The Scoop: Cat in Heat Sounds — What Do Cats in Heat Sound Like? When it comes to shots for cats, cat parents have tons of questions. What vaccines do cats need? How often should cats get shots? Are we under-vaccinating or over-vaccinating our cats? What vaccines do cats need? Many cat caretakers have very strongly held beliefs regarding vaccines. So it’s not surprising that vaccinations in human health have become controversial. And that controversy has clawed its way into the realm of cat health. What vaccines do cats need? Are we under-vaccinating or over-vaccinating our cats? Are we under-vaccinating or over-vaccinating our cats? Photography ©Wavebreakmedia | Getty Images. When researching this article, I did not speak to experts with all possible perspectives, of which there are many on the topic of vaccines, or I could have authored a book. I spoke with leaders with undeniable expertise, many who helped craft the American Association of Feline Practitioners’ (AAFP) Guidelines for Vaccines. Love or hate vaccines, it’s a fact: Vaccination plays an important role in the control of infectious diseases, both for an individual as well as for the cat population at large (known as herd health). 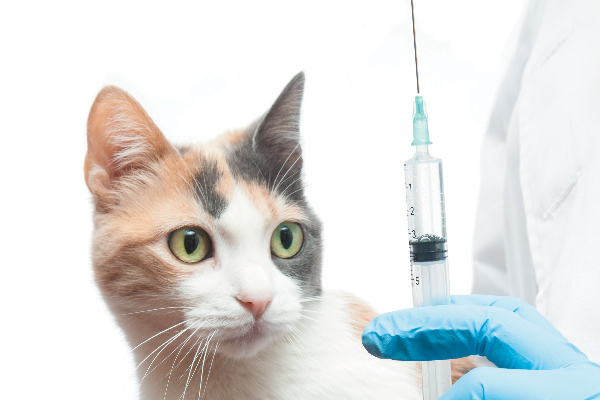 Every several years, feline experts come together to update the AAFP vaccine guidelines. The most recent panel, in 2013, was chaired by Dr. Margie Scherk, editor of the Journal of Feline Medicine and Surgery. Her explanation is that, for starters, too many cats never see a veterinarian until that individual cat is clearly very ill. Obviously, if the cat isn’t seeing a veterinarian, the cat isn’t getting vaccinated. Also, concerns of some cat caretakers is a roadblock: about the need for specific vaccines, that their own cat is being vaccinated too often, concerns about injection site sarcoma (cancer at the location of the vaccine) and, in some instances, the vaccine cost. “Because they’re not seeing a veterinarian, I find that some people are just unaware of what vaccines are needed,” adds Shila Nordone, PhD, immediate past president of the Winn Feline Foundation board of directors and Director of Research Development, Duke University Nicholas School of the Environment. Also included in the guidelines are recommendations for community cats, not an issue in the dog world. “Of course, we considered all cats, and that is as it should be,” Dr. Scherck says. What vaccines do cats need? The differences between core and noncore vaccines. AAFP offers two vaccine categories: Core and Noncore. Should rabies be a core cat vaccine? Both indoor and outdoor cats, like community cats (right), are at risk for rabies, as they can come into contact with rabies’ carriers, like bats. Photography ©Dovapi | Getty Images. However, not everyone agrees. Dr. Donna Alexander, administrator of Cook County (which includes Chicago) Animal and Rabies Control says that rabies vaccines for cats should be considered core just as they are for dogs. “Rabies has got to be core for cats,” says Dr. Richard Ford, emeritus professor of medicine, North Carolina State University. And, in fact, over half the states require rabies vaccines for cats by law. Also, so many mostly or exclusively outdoor cats may not be vaccinated at all, and they have a potentially high exposure to skunks, raccoons and other wildlife, which may carry rabies. Based on the CDC recommendation, if an unvaccinated cat comes into contact with any animal thought to be rabid, that unvaccinated cat will be quarantined or euthanized. The CDC confirms Dr. Alexander’s comments, as cats are many times more likely to be discovered with rabies compared to dogs. In 2015, 67 dogs were reported rabid compared to 244 cats. 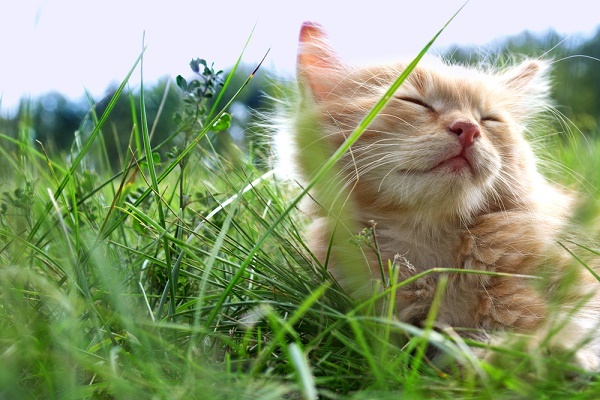 Cats with high exposure are outdoors only or community cats. 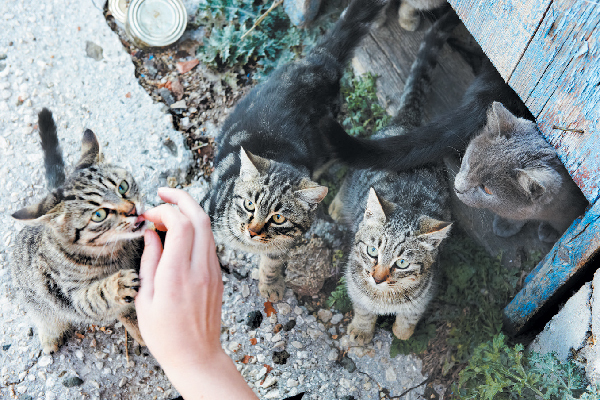 If cats are trapped, neutered and returned (TNR), the AAFP panel advises those cats receive vaccines for feline panleukopenia (feline distemper), feline herpesvirus-1, feline calicivirus and rabies. How often should we vaccinate cats? When asking “What vaccines do cats need” “How often do cats need shots” is a question some cat owners have, who insist we’re over-vaccinating. “When it comes to duration of immunity, the Guidelines are pretty solid, as we have some pretty solid studies” Dr. Nordone says. 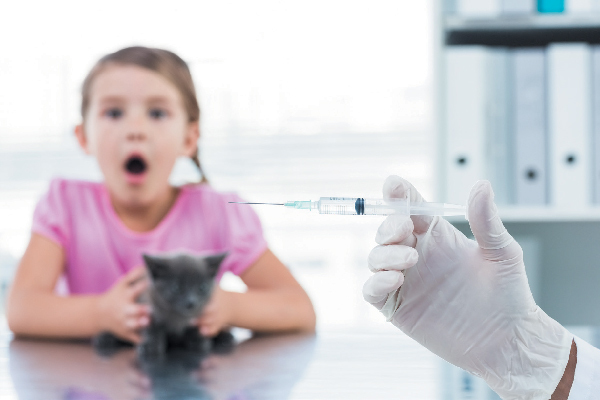 The AAFP Advisory Panel recommends administering FeLV vaccines to all kittens but considers the vaccine to be noncore for cats after their one-year booster unless they are at risk of exposure because they have access to outdoors, live with known FeLV-infected cats or live in a multiple-cat environment where the status of all cats coming and going may not be known. Vaccination of all kittens is recommended because a kitten’s status (indoor versus outdoor, low risk versus high risk) may change, and susceptibility to persistent infection is believed to be highest in kittens. “We now know FeLV may essentially hide in a cat unprotected, then suddenly appear later in life” Dr. Scherk says. Still stumped on what vaccines cats need? Thumbnail: Photography ©Maica | Getty Images. Steve Dale, CABC, certified animal behavior consultant, is host of several pet radio shows, appears on TV and speaks around the world. He’s author/contributor to many books, including The Cat: Clinical Medicine and Management, and board member of the Winn Feline Foundation. Blog: stevedale.tv. Water Eyes in Cats — What Causes Water Cat Eyes and Do You Need to Visit a Vet? I agree with rabies being a core vaccine. As stated, even exclusively indoor cats could be exposed by a bat or a rodent it may catch. Any warm-blooded animal can contract rabies; possibly even birds. I believe cats should be vaccinated and licensed, the same as dogs. I disagree, indoor cats do not need to be updated on shots past kitten hood, and why in the world would you licence your cat? Just put a name tag on their collar. Thank you for the information about how even an indoor cat needs a rabies shot in case of other animals getting into their homes, like a bat. I want to have a cat and I wanted to make sure s/he is always healthy. I appreciate you giving the advice about making sure to get all the shots needed no matter where the cat lives. Replying to Joan Seaberg regarding the cat’s pulling out his hair. It could be due to the use of Advantage, rather than an allergy. It could also be something in the sand that is irritating the cat. I realize that you would be concerned with fleas if he goes outside. Suggestion: Look into Vet’s Best Cat Flea & Tick, which ingredients you can review and which products may be purchased via chewy.com. There are several varieties of this product which repel fleas and ticks, including one that you spray on the cat and another that you can spray in the yard. It has a pleasant aroma and in my opinion is safer than stronger products like Advantage. You brush the cat regularly so you might try not using Advantage at all for a time. Replying to Carrie Lynn Huebner’s comments on Vaccines. Thank you for the information about current research and where on a cat’s body it would be best to administer vaccines. I was dismayed to read the article on vaccinations for cats, especially the quote from Dr. Donna Alexander. “Vaccine-related reactions due….one in a million and are likely not life threatening.” Uh, I seriously wonder where Dr. Alexander went to vet school. A closer approximation is 1 in 10,000 which is just for Injection-site Fibrosarcoma, which is VERY Life Threatening. If at the very least, she should have made note that vets should be giving vaccinations LOW on the leg, and even some vets give injections in the tail. At least then the kitty and owner have the option of amputation if cancer does occur. Please take a look at the studies being done at research veterinary hospitals regarding this issue. In fact, our vet has gone so far as to say, if this high rate of death was happening to dogs, more people would be taking notice, but unfortunately, cats are still considered, by many, ‘throw-away’ pets. How sad. Please reply with your suggestions for yard treatment for cats. or so something to put on the cat. Would you advise ADAMS SPRAY for cats. I liked it for dogs. Had good luck with it for dogs for fleas, mosquitos, etc. I am not a subscriber of your magazine, but I do enjoy your articles on email. My cat is a very large male cat, about 19 lbs. Orgininal owner had him for 5 yrs from a kitten. I took him 3 yrs ago. HE was a total “scarty cat” when I got him. What a difference now. He is totally my buddy now, still scared some, but normally now. Anyway, I throughly enjoyed your article on allergies. Never have had a problem up till now. He started pulling small clumps of hair out with his teeth. Finding the pieces on the floor. Can’t see where those come from on him are. But on the back hip side you can see where he has licked a very long spot about 3 inches long. He is an indoor/outdoor cat, but in a fenced in backyard,,other cats do not come in. He is on Advantage flea treatment. Does not scratch much inside, but outside he does. What would you suggest for putting down for an outside treatment. He loves to roll in the sand. I brush him everyday on his back for the sand. Just doesn’t want to use the wrong thing on the ground. As you can tell, I don’t know much about cats. I have always been a dog owner, but sure have an attraction for this guy. Where he lived before, I don’t think he got too much attention. H eras raised with dogs, he did’t have a chance. What a changed cat he is now . Thank you for any suggestions you might have.